The Essence of Relationships – Part 4 – The Cycle of Joy! In our last blog we talked of the Cycle of Ego-centrism. 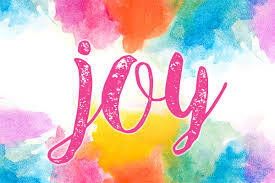 In the final blog of this series we will shift into the Cycle of Joy. do you take too little responsibility or too much responsibility? do you blame it on someone else or bring it on yourself? do you reflect a lot or do you have apathy? do you never ask for help or do you always ask for help? are you preoccupied with your physical aspect of yourself or do you ignore the physical aspect of yourself? are you preoccupied with the mental aspect of yourself or do you ignore the mental aspect of yourself? are you preoccupied with spiritual aspects of yourself or do you ignore the spiritual aspects of yourself? are you preoccupied with the emotional aspects of yourself or do you the emotional aspects of yourself? are you preoccupied with social aspects of yourself or do you ignore social aspects of yourself? are you preoccupied with financial aspects of yourself or do you ignore the financial aspects of yourself? are you preoccupied with sexual aspects of yourself or do you ignore sexual aspects of yourself? This section will give you some clarity in owning your feelings as to how you show up in your relationships. In this way, you aren’t projecting onto anyone else, by taking responsibility and saying that this is who you are. You could also have your partner do this if they choose and see what it looks like for them. You will thereby own your behavior and show up with integrity, trusting who you are; not allowing anyone else to sway you in any way. On the top left corner, put the word “respect.” This is about recognizing a persons’ autonomy and authority in their own life. When we take care of other adults that are capable, we are not respecting their ability to take care of themselves. We are invading their boundaries and we think we are helping them. By doing this we are making them helpless and in the whole process, we are also not respecting ourselves or our boundaries. With respect in yourself and the other person in knowing that they can take care of themselves, it allows them to respect themselves more and allows you to continue to respect yourself and have boundaries. This is a healthy way to have a relationship. If you were raised in an alcoholic family or other families where there were no boundaries, we tend to get confused as to where or what the boundaries are. Finally, on the top right side, put the word “empathy.” Empathy is very important in a relationship where you communicate and understand the other person’s experience. Here is where you learn to respond instead of reacting. Empathy is the ability to own and express compassion for others and ourselves. This is about compassion instead of ego. When we have empathy, we don’t immediately become angry and defensive when someone accuses us or if we perceive we are being accused. Instead we listen to the other person’s distress and through compassion, can put ourselves in the other person’s shoes. We lower our defenses and can feel what the other person is feeling. This can be a risk because we lower our emotional wall with empathy and choose not to bring it on to ourselves and think that it is our fault or there is something wrong with us. We accept that it is what the other person is feeling in that moment. When people project something like anger onto us, you don’t take it in. You are empathic toward them and at the same time don’t take it on like it is yours. The middle of this triangle is “joy,” and this replaces the pain from the other triangle. If you tend to argue with people in any type of relationship, you can use these tools to move into owning your feeling, empathy, respect and using the cycle of compassion with others. You can say, “For me, the truth is…” People can’t argue with you when you are talking about your truth, but they may not agree with it. Empathy statements, “I can only imagine how you feel.” “It sounds to me like you are really upset right now.” “I understand.” “I feel like you may have had a hard day today.” So, instead of someone coming in ranting and raving about something, instead of reacting and going into your egocentric cycle, say something like one of these examples. You are respecting their feelings and your boundaries and owning that it isn’t you and have empathy that there is obviously something that is hurting them. There are also statements called pattern interrupt, and can diffuse the situation very quickly. It’s a very powerful tool when you find yourself in an escalating situation with another person emotionally. You can come up with a phrase that makes everyone laugh and you decide together what that will be. Make sure you use this phrase before it escalates too far and it will stop all communication. Then both people need to walk away, stop talking, go to your separate corners and breathe deeply 10 times. At that point, you come back and the person who expressed the pattern interrupt word speaks first. What that person says is, “What I feel like saying is…” and then you have calm communication and the other person does not speak, they only listen. When you are finished, say “I am complete for now, what do you feel like saying?” Then the other person speaks and you just listen. This is a way to be heard, have empathy and it doesn’t become a shouting match. Deep breathing the 10 breaths will help to dissipate the feelings that came up and will help bring you to a level that will help both of you to have a better conversation. Know that you are reacting when your heart rate goes up, you have trouble breathing, you get anxious, etc. The goal here is to shift these types of experiences into a compassionate cycle. Our goal is to have a joyful life. By digging into your behaviors and learning new ways of doing things, you will have the opportunity to have better relationships and the joyful life you want and deserve.